The Weatherman, o projecto de Alexandre Monteiro com frequente passagem neste blog, editou, no início deste ano, um álbum homónimo onde podem encontrar o single que serviu de inspiração para a nova versão com Emmy Curl (ver Music Alliance Pact de Novembro de 2010) que trazemos, em exclusivo, este mês, no Music Alliance Pact, ao mundo. A acompanhar mais uma excelente canção pop saida da caneta de de Alexandre Moneiro, há um vídeo realizado por Mariana Lopes, uma arquitecta de formação. Este álbum, "The Wheaterman", será publicado também em alguns países do norte da Europa. Por isso, The Wheaterman terá algumas datas para espectáculos programadas para a Bélgica e Holanda. ARGENTINA: Zonaindie Cam Beszkin - Cucharita De Manual We came across Cam Beszkin's music when she was a member of Las Bailarinas Anarquistas, Mariana Bianchini's solo band. This song is from Cam's sophomore album Este Amor Ya No Es Para Tanto, in which her potent vocals adds up to a solid guitar and drum rock duet. AUSTRALIA: Who The Bloody Hell Are They? House Of Laurence - Just Don't Move Me Let's be real - if the industry was a caste system, psychedelic/prog music would sit on the lower rung. Thankfully, we don't fear throwback in this country. We embrace it with open arms and wild, flailing John the Baptist hair. Just Don't Move Me is the brand new track from Melbourne band House Of Laurence. If the image of Tame Impala's Kevin Parker in a white pressed suit, struttin' (barefoot) down the Fremantle boardwalk makes your insides feel like goo then this is dedicated to you. AUSTRIA: Walzerkönig Hella Comet - Tinker Boat The post-punk sound of four-piece Hella Comet calls for Sonic Youth comparisons, although their freshly-released second album Wild Honey, from which Tinker Boat is taken, is not afraid of pop either. Hella Comet were selected as one of 18 bands to represent this year's focus country Austria at Europe's most important music festival/conference Eurosonic. BRAZIL: Meio Desligado Castello Branco - Necessidade Necessidade is taken from Castello Branco's first album Serviço. It's typical of the easygoing feeling he generates to make songs that speak directly to our souls. CANADA: Quick Before It Melts Rebekah Higgs - Loneliness Rebekah Higgs' new release Sha La La is shot through with the spirit of 60s girl groups minus the innocence and politeness of those times. Higgs gets down and dirty climbing Phil Spector's Wall of Sound. She throws classic doo-wop pop down an echo chamber and what comes out the other end is a gauzy, hazy doo-wop/drone-rock hybrid that's utterly compelling. Loneliness has never sounded better. CHILE: Super 45 Ali B & The Mayan Warrior - World Class Bouncing Ali B is the latest winner of Nuevos Sonidos, a demo contest Super 45 has hosted since 1997. She is a rapper who sings in three languages and mixes rhythms from all over the world. Her songs are homemade, built around an MPC and samples taken directly from vinyl. The jury of Super 45 was mesmerized by her infectious flow. Past winners of the Nuevos Sonidos contest include Gepe, Protistas and Fernando Milagros. COLOMBIA: El Parlante Amarillo Laura y La Máquina De Escribir - Laberinto La Máquina De Escribir ("The Typewriter") is the project of Laura Torres, who has been involved in the world of music for more than two decades (since she was a little girl, obviously). From her piano, she recreates a world that reflects her feelings, which are evident in Laberinto, the track that gives its name to her 2013 album. DENMARK: All Scandinavian Sylvester Larsen - The End Of Dancing In October, Sylvester Larsen released his fifth album (his second in English) The End Of Dancing, and here's a MAP exclusive download of its great title track, which is reminiscent of soul and funk giants Stevie Wonder and Sly Stone. Also, check out the video for first single and album opener Stand Up. DOMINICAN REPUBLIC: La Casetera Whitest Taino Alive - Piel De Leather We've chosen the newest sensation of Santo Domingo, just to see how the rest of the world reacts to its message. That is, if you can handle it. Full of non sequiturs only true Dominicans understand (or so we think), Whitest Taino Alive emerges as a futuristic hip-hop act that combines trap, trill, minimal electronic and naughtiness. Their debut EP Chopería Fina is out now and available for free. ECUADOR: Plan Arteria Ricardo Pita - Canción Para El Resto De Los Días Modern, hopeful and nostalgic bohemianism - that sums up the single Canción Para El Resto De Los Días by Ricardo Pita, a songwriter born in the heart of Guayaquil's independent music scene. A musician with a great album and a promising career, Ricardo Pita is a must-listen if you want a vision of contemporary Latin folk music. ENGLAND: Drowned In Sound Lanterns On The Lake - Green And Gold (Generator Session) From Sting and Prefab Sprout to Maxïmo Park and The Futureheads, the north-east of England has built a reputation for excellence, but it's rare to uncover an act there, or anywhere, that's as precious and heart-kickingly gorgeous as Lanterns On The Lake. They have elements of post-rock which make their tear-duct bothering sadness soar - not unlike the way Low construct epic melancholy. Their second album was recently released by Bella Union and it's gorgeous. Watch the video of this live session track here. FINLAND: Glue Robin Pahlman - Ghosts After relocating to Vienna via Seattle, Finnish songwriter Robin Pahlman has been working on a series of heartfelt acoustic folk home recordings that form his debut self-titled EP, recently released via Berlin-based label Monkey Records. Here is the inspiring single Ghosts. GREECE: Mouxlaloulouda The Callas - East Beat Noisepop minimalism, raw garage melodies and kraut psychedelic elements meet to create the kaleidoscopic universe of The Callas' album Am I Vertical? The group mix their experimental art and film background with an addiction to pop tunes to present a witty, truly impressive record that balances darkness and light, innocence and sin, joy and lust. INDONESIA: Deathrockstar Andrew Naratama - Putar Haluanmu Putar Haluanmu is a retrospective song about memories and all the beautiful moments the singer had during his childhood with friends. Andrew Naratama is also a member of KarnaTra, a rock band from Jakarta. ITALY: Polaroid Tempelhof - Change There's no easy way to describe electronic music, especially when the sound explores multiple paths and you are constantly finding yourself in new territory. Tempelhof is an electronic duo from the town of Mantova and I think they are true explorers more than simple musicians. IDM, shoegaze, house, ambient - everything comes to build the striking sound that you will find in their new album Frozen Dancers, out now on Hell Yeah Recordings. JAPAN: Make Believe Melodies Coffee And TV - Guess What? Summer's Arrived It is one of the most factually incorrect song titles of the month, but Tokyo producer Coffee And TV conjures up the warm vibes of the summer on this track. He does so simply. With little manipulation, he finds a snippet of Hey Manhattan! by Prefab Sprout, loops it and milks it for all it's worth. From this basic sonic material he manages to make an easy breezy song that's good for any time of the year. MEXICO: Red Bull Panamérika Chico Sonido - Niñas Fresas feat. Camila Sodi Los Angeles-based Mexican producer Chico Sonido has just released his debut album Nalga Bass, which is quite a gamechanger for electropical music. In a market overcrowded with underdeveloped SoundCloud tracks, Chico delivers a coherently mixed record that transmutes and pushes forward genres such as nu-cumbia, trap, tribal and reggaeton, with a twist of humour and naughtiness. They're good for headphones (and twerking too!). PERU: SoTB Daniel & The Dead End - My Valentine Daniel & The Dead End is the new project of Daniel Ruiz, the former Space Bee drummer. Having been abandoned by his band before recording, disillusioned and ready to rock, Daniel decided to do all the work himself, giving life to the first EP. POLAND: Łukasz Kuśmierz Weblog Armando Suzette - Advent Mists Armando Suzette is a Kraków-based band led by Mateusz Tondera. Their music, which combines a variety of genres and influences, is something unique in Poland and it's impossible to describe it in one word. If you feel lost, Advent Mists is for you. As they sing: "Hope you have a real Christmas this time." PORTUGAL: Posso Ouvir Um Disco? The Weatherman feat. 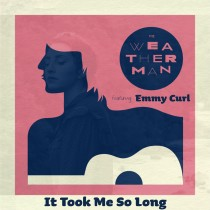 Emmy Curl - It Took Me So Long Alexandre Monteiro's The Weatherman project has a new version of the single It Took Me So Long, taken from the latest album which will be released in Holland and Belgium in January. Emmy Curl, who was featured in the November 2010 edition of MAP, was invited to sing with Alexandre in the newer version of this track. Once again Alexandre confirms his high credentials as a composer, singer and creator of great pop songs. Mariana Lopes directed this great video. PUERTO RICO: Puerto Rico Indie Buscabulla - Tu Loco Loco Y Yo Tranquilo Buscabulla is one of Puerto Rico's most promising emerging acts, a breath of fresh air in a musical climate that often struggles to bridge pop smarts with heartfelt and engaging music. Singer Raquel Berríos and her band conjure an intoxicating mix of classic cool with more forward-thinking flourishes on the group's first single Tu Loco Loco Y Yo Tranquilo, a cover of master composer Tite Curet Alonso's song made popular in 1969 by salsa legends Roberto Roena y Su Apollo Sound. Buscabulla's debut EP is due in 2014 - it's going to be a good year. ROMANIA: Babylon Noise After What - Who After What is the side-project of the frontmen of two Romanian indie bands, The Amsterdams and The MOOod, both of whose influences are apparent - the music inherits the creativity of the former and the energy of the latter. SCOTLAND: The Pop Cop Medals - Disguises JP Reid is a familiar name in rock circles through his band Sucioperro as well as Marmaduke Duke, the side-project he shares with Biffy Clyro frontman Simon Neil. JP Reid's new venture Medals, however, is arguably his most appealing. Debut album Disguises is an honest, pop-focused body of work and its title track stands out as a refreshingly unapologetic crowd-pleaser that you'll likely play again and again. SOUTH KOREA: Korean Indie Glen Check - Pacific Glen Check have been around since 2011 and already made quite a name for themselves at home. With a fanbase growing abroad, the duo is taking their rock and electronica sound to SXSW in 2014. The infectious electro-pop tune Pacific is the lead track off the band's recently-released second album Youth! SPAIN: Musikorner Tiger Menja Zebra - Com Començar Una Guerra Tiger Menja Zebra was born from the ashes of Camping, a Catalan post-rock band that achieved great success in the past decade. With this new project, while sticking to the post-rock genre, they haven't given up on pushing their boundaries. UNITED STATES: We Listen For You Está Vivo - How Strange feat. Steffaloo Está Vivo perfectly titled his newest offering, How Strange. It certainly is strange, yet extremely alluring due to a fascinating mixture of robot-esque male vocals and whimsical female vocals that take turns floating above churning electronics. Let the track simmer and it will certainly take hold as one of the more hypnotic listens of the year. VENEZUELA: Música y Más Aspen - Ahora Ya Aspen developed from the creative union between members of different bands. Influenced by the classic sound of British artists such as Badfinger and Oasis, their debut single boasts a slight psychedelic tinge. Aspen are one of the first bands on the roster of Macca Records, who also represent Los Paranoias.